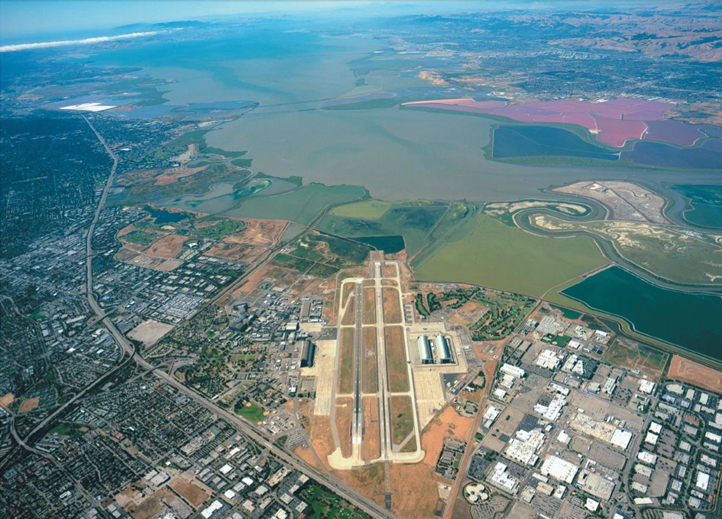 This ongoing project focuses on evaluating the impacts of climate variability and change on the mission and operations of the NASA Ames Research Center (NASA ARC) located in Silicon Valley, California (following Executive Order 13514, 2009). NASA ARC is vulnerable to climate change due to its location adjacent to South San Francisco Bay and potential impacts include: Increases in the frequency and intensity of extreme storms that could produce unprecedented flooding across the site; sea level rise that could exceed a meter by the end of the 21st century; increase in extreme wind speeds that could impair aviation operations; increases in frequency, duration and severity of heat waves over the 21st century; changing groundwater flow and migration pathways of contaminated groundwater; and loss of wetlands and habitat. These impacts will be evaluated through detailed assessments of projected climate change in the 21st century, supplemented by runoff models (such as BASINS) and estuary hydrodynamic models (such as TRIM2D). The impacts will be assessed both at the base wide scale and at specific locations on NASA ARC, as impacts may be localized. The assessment will take into account how NASA ARC is envisioned to evolve over the coming years. Adaptation measures will be identified and evaluated.